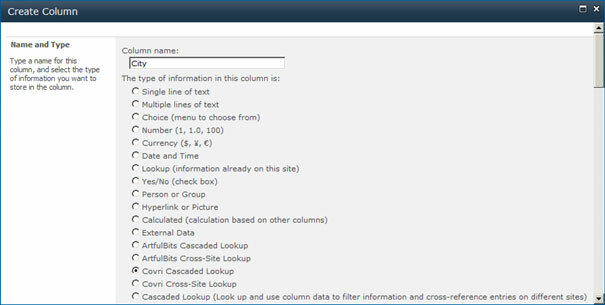 COVRI Cascaded lookup is a unique lookup with capability of providing filtered data. 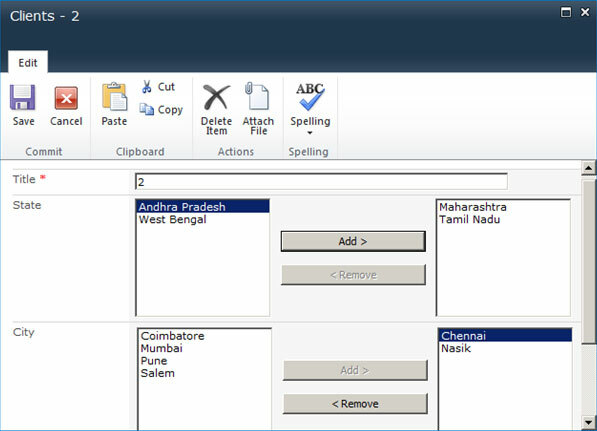 Usually these Cascaded lookup fields are a requirement for manpower in Corporates. 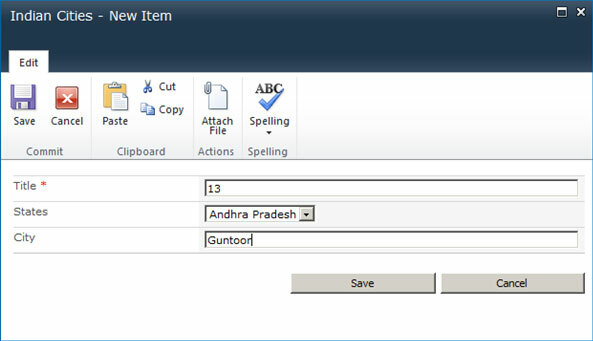 One can establish single or multiple cascading parent-child relationships by setting up dependencies between columns in the current list and the target list. 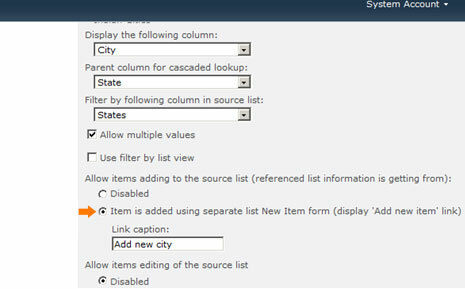 For example, you can implement typical cascading fields, such as “County ->State ->City”, in the same list or library, so that data entered in one field filters the options presented in another thereby reducing the number of lookup items when a new item is added. 2. Another List “Indian Cities” containing two columns States and City. 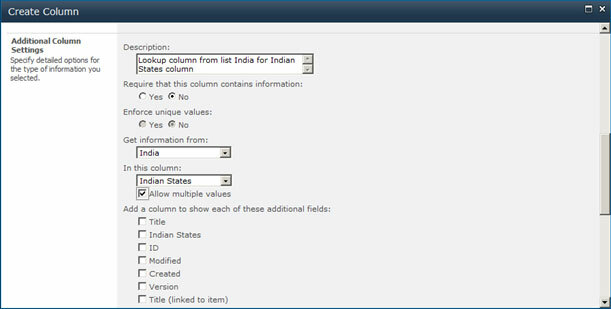 The States column is a standard SharePoint Lookup Column from Indian States Column of list India. City column is a normal single line text Column. 3. We want to have a client list from different states and cities in India. This new list may use the COVRI Cascaded Look Up columns to fetch data from existing Lists in a filtered manner. 4. 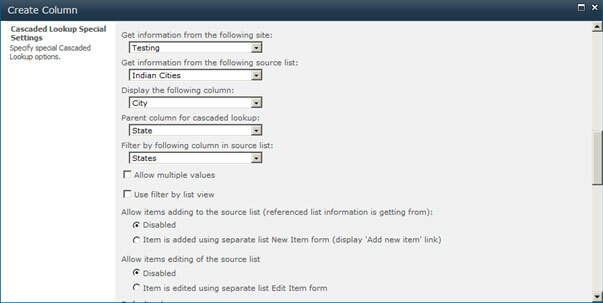 Create a new List “Clients” and add a column “State” which can be either standard SharePoint Lookup column or COVRI Cascade Lookup column. 5. 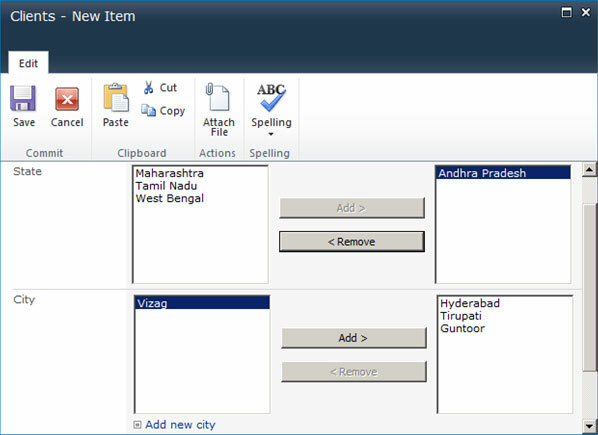 Create another column City in Clients List which is COVRI Cascade Lookup column. 10. 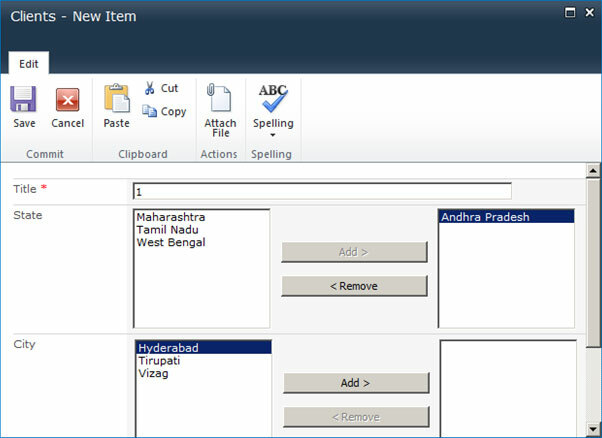 Click Add new item (Figure 10.0) and select two states Maharashtra and Tamil Nadu, you may notice only relevant cities are displayed as options in City (Figure 10.1). 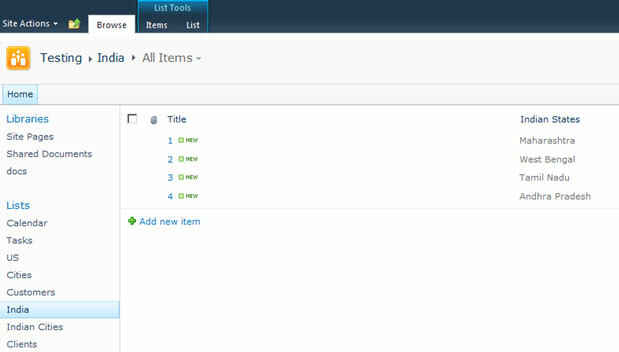 This demonstrates multiple filters functionality of COVRI Cascaded Lookup. 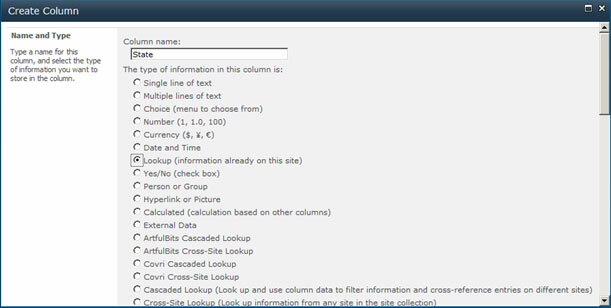 Cascades Lookup Version 1.0 released on 28th March 2014.